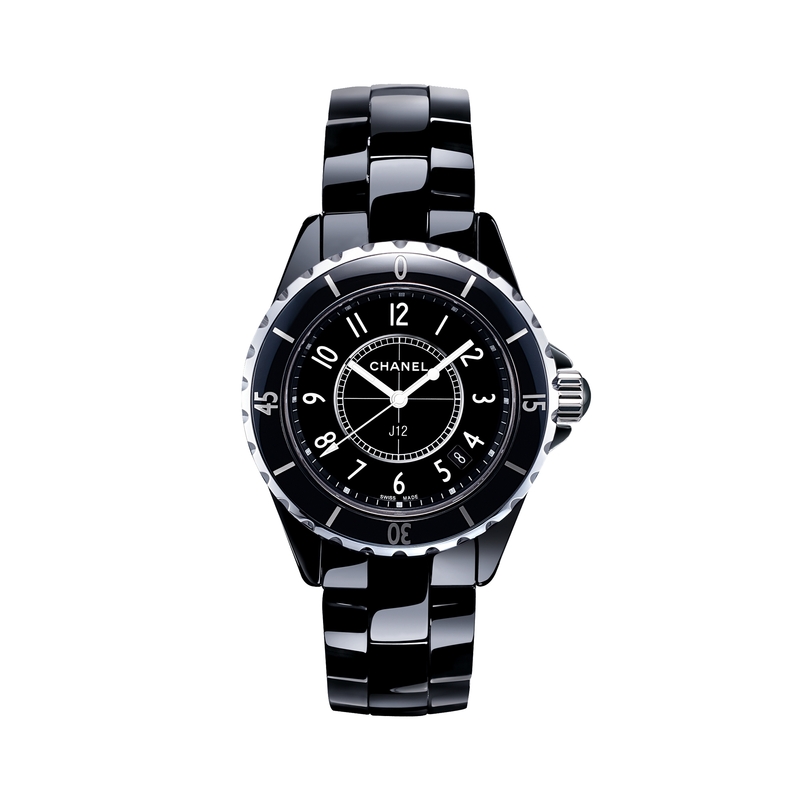 The J12 by CHANEL celebrates the fusion of pure design with high-tech material. The black ceramic and stainless steel case houses the self-winding, Swiss Made mechanical watch movement with a power reserve of 42 hours. The steel rimmed ceramic bezel surrounds the black dial with white Arabic indices and a date window. A black ceramic link bracelet with a folding clasp adds the finishing touch.